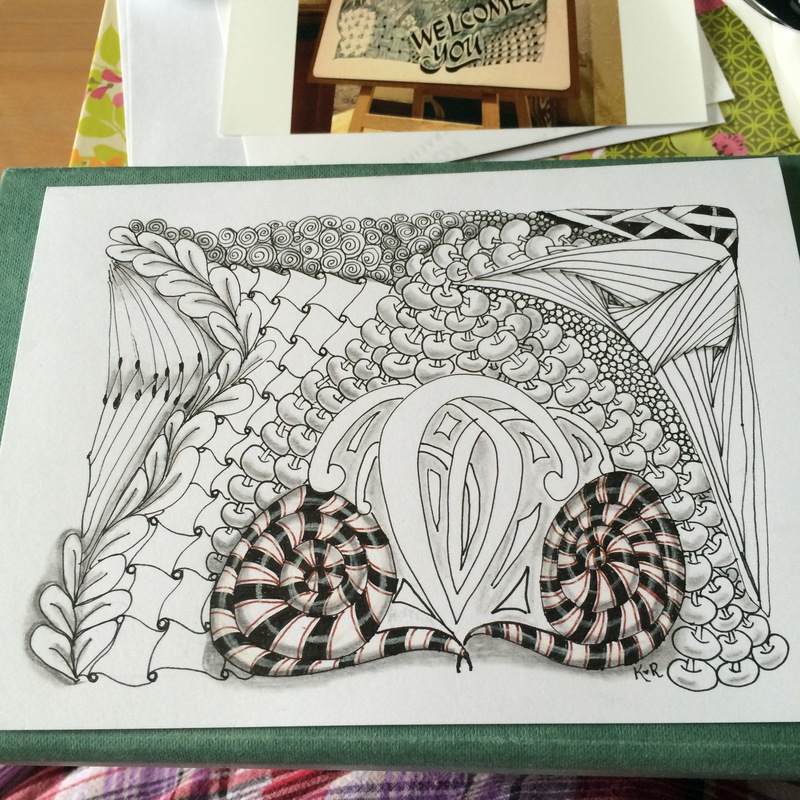 Posted on July 16, 2015 by Kat, aka "ArtyKat"
Well, once again I am playing catch up! 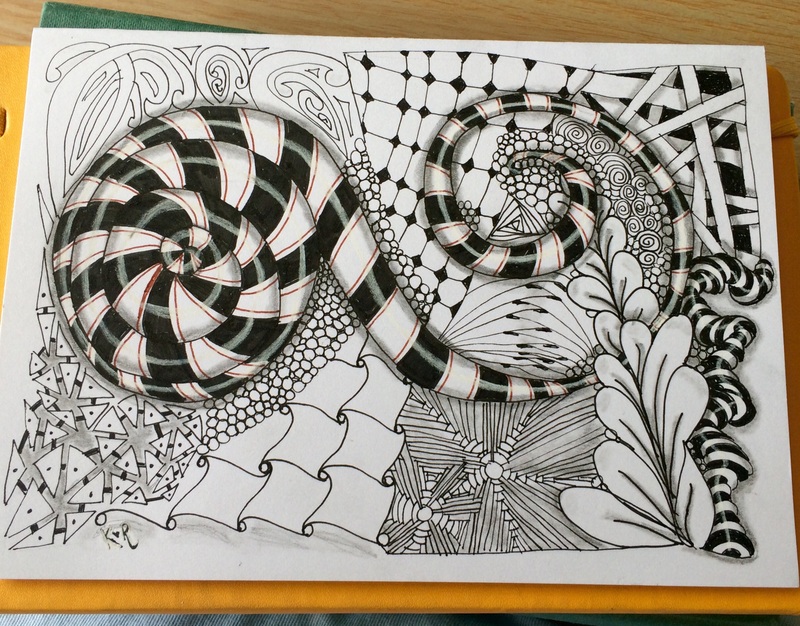 Since I was last here, I’ve been keeping quite busy drawing tangles daily! 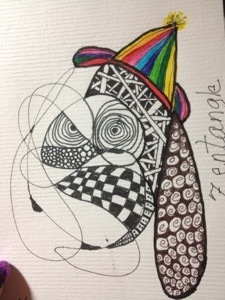 I am also scheduled to teach Basic Zentangle Art 101 at our local art center on July 25th! Very nervous but it will be ok after the first 15 minutes, I’m sure. I have taught a private class to my adult daughter and husband, and here is a mosaic of their work (mine is on the left). I must’ve done something right because their tiles are Beautiful! 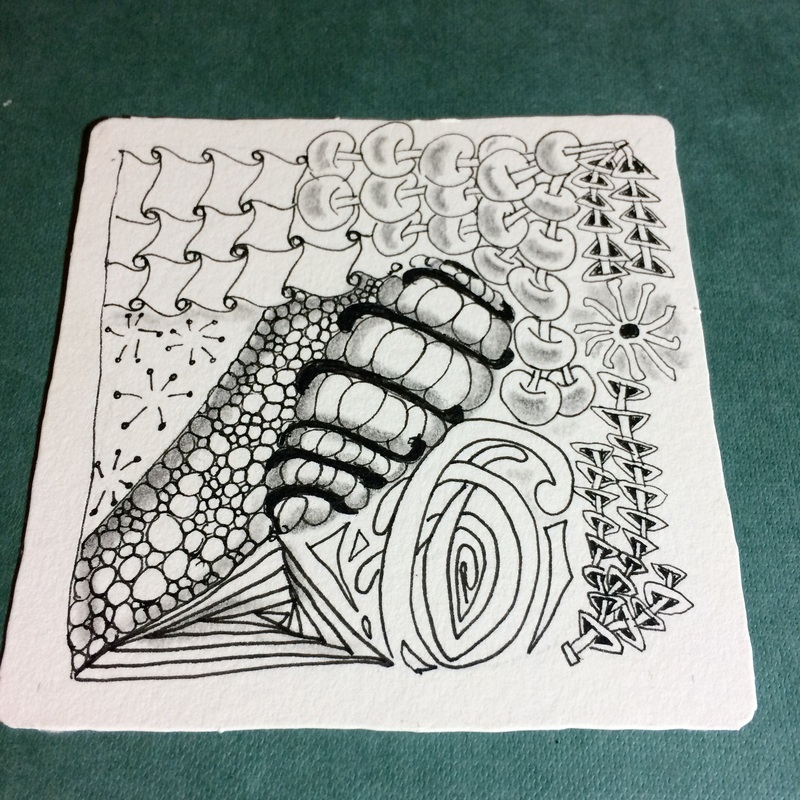 I have also been dabbling at larger non-stenciled works – just free-flow tangling. 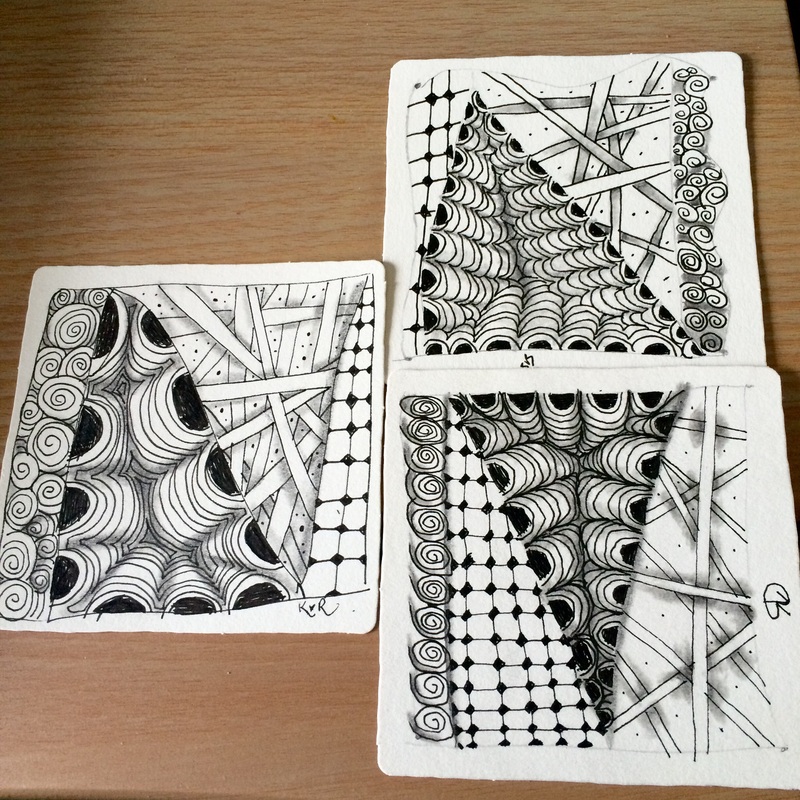 I would love to read what these look like to you, or what they remind you of… Which is your favorite? Keep being creative- the world needs YOUR creativity! 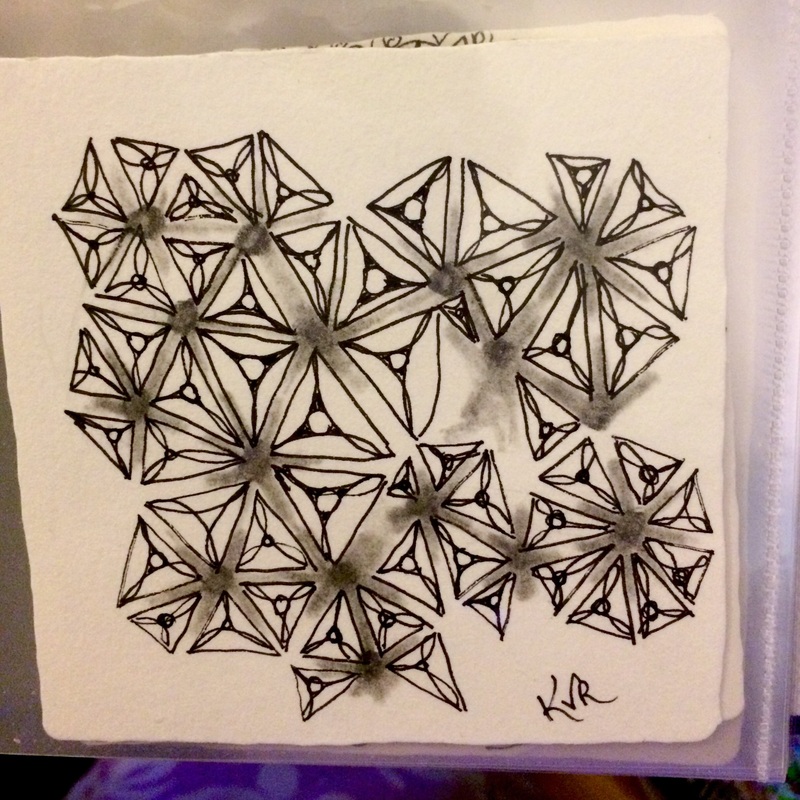 Posted on February 11, 2014 by Kat, aka "ArtyKat"
Zentangle Inspired Art (ZIA) is not “true” Zentangle as it consists of ink/pencil on white square tiles, usually 3″x3″. 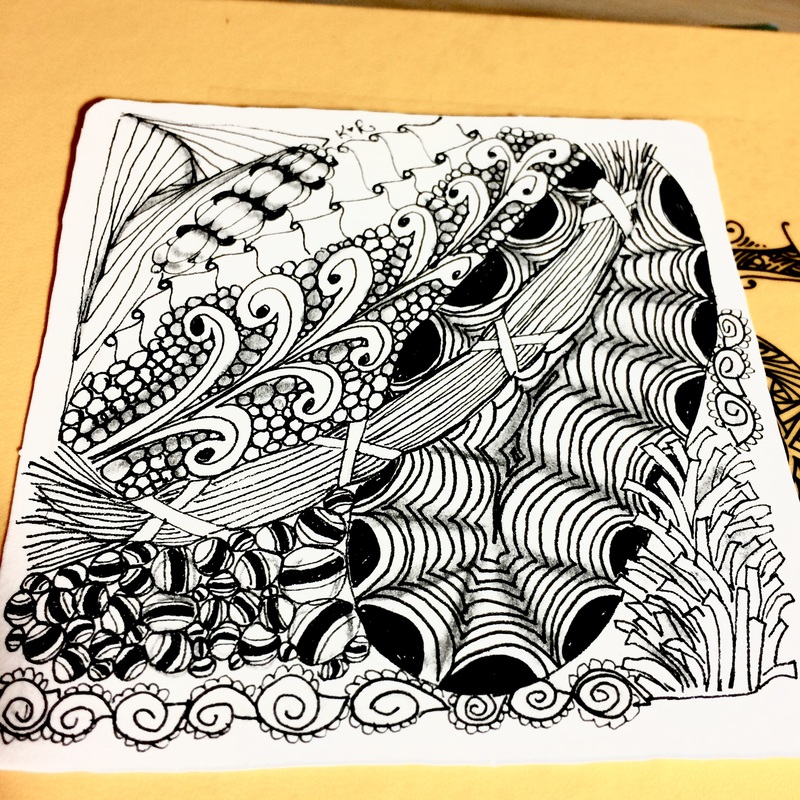 Zentangle Inspired Art (ZIA) can be any size, and incorporate colors if desired. I really enjoy drawing ZIAs and find it exciting to come up with new creations. Being Disabled and retired, my income is near the poverty line so I am going to try to sell some through my shop on Etsy. We’ll see! Also hope to sell my photography taken in the heart of Appalachia in Southwestern Virginia, USA. I love the land, the people, the culture and mountains here. Beauty is wherever I gaze. 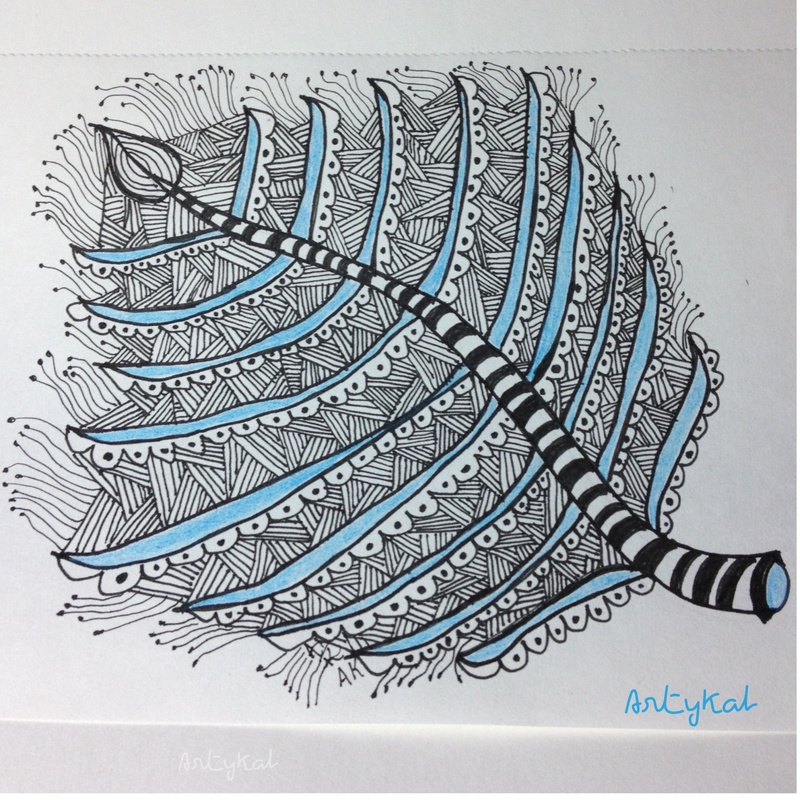 Posted on January 2, 2014 by Kat, aka "ArtyKat"
I have been learning a way of drawing and doodling called ZenTangling. 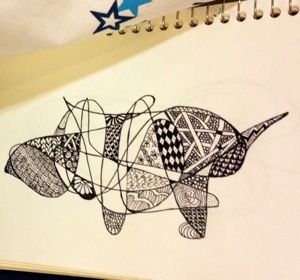 It is an organized way of doodling/drawing that really appeals to me. I’m not very experienced at it, so don’t judge 🙂 one of the things I like to do is to have someone close their eyes and draw something without taking their pen off the paper. 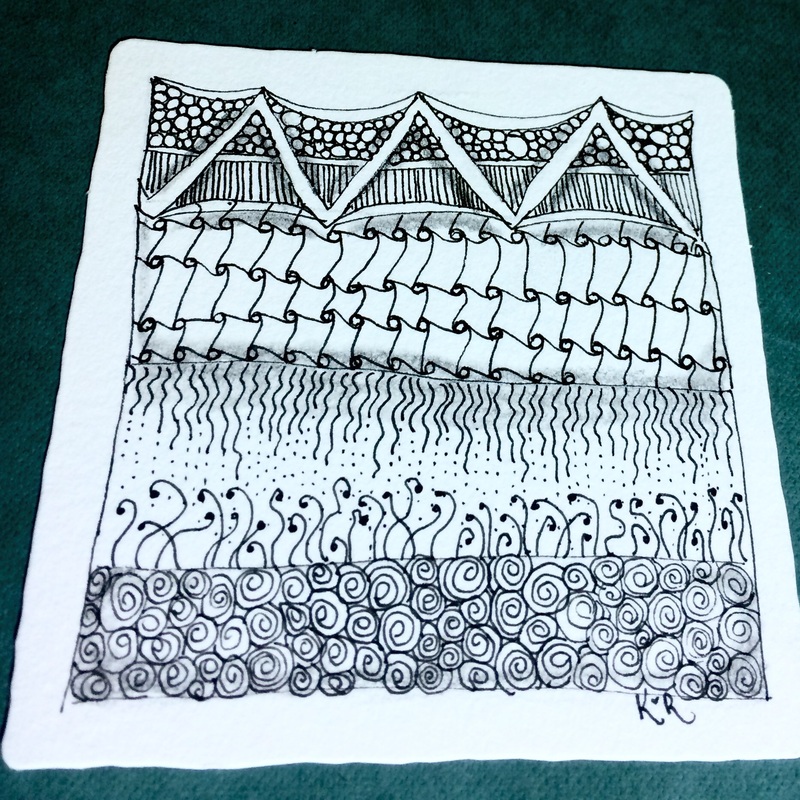 I then close up the two ends (if needed) and then fill it in with tangles. They start off looking like nothing then they become something cool! I turn them until i see something “appear” – And the “something” that they turn into always relates to the person who drew the line. For example, this one was by someone who loves dogs (I didn’t know!) – the only copy I have is not yet finished one below. When it was done, it looked as if he had a black nose and an adorable hat! She was thrilled. 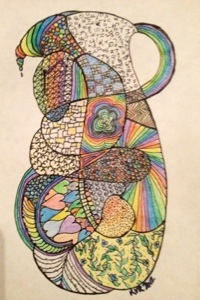 This last one was one I drew entirely, and it was my very first one. I sent it to my friend without taking a photo. She framed it and took a photo for me, so it’s not very clear. I LOVE this pitcher! Every section was symbolic of something pertaining to our friendship.the section without color was filled with letters if the alphabet because we are both book, poetry and word lovers.